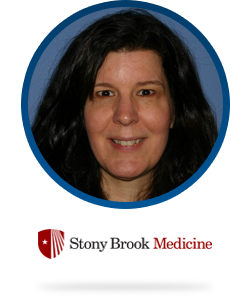 Linda is the Manager of Patient Accounts at the Clinical Practice Management Plan located in Long Island, NY. She brings over 30 years of experience with medical billing. During college she worked at Blue Cross/Blue Shield which sparked her interest in the healthcare industry. Since joining CPMP 24 years ago, she has focused on front desk collections, registration functions, authorization retrieval, and system/process improvements. She is involved with testing out innovative changes prior to implementation and troubleshooting issues. Linda has an MPA with a specialization in Healthcare Administration from Long Island University.